BALTIMORE — A Baltimore judge declared a mistrial in the case of Officer William Porter, one of six police officers facing charges in the death of Freddie Gray. Mistrials are not uncommon in high-profile cases in which police officers have faced criminal charges related to the use of force. In September, a mistrial was declared in the case of Daniel Willis, a former sheriff’s deputy in Bastrop, Texas. Willis, who is white, was charged with murder in the fatal shooting of an unarmed black woman, Yvette Smith, while responding to a domestic-violence call. Jurors reported they were in favor of a guilty verdict by a count of 8-to-4. Willis’ attorney has requested a change of venue for his second trial. In August, a North Carolina jury deadlocked in the trial of Randall Kerrick, a white officer in Charlotte-Mecklenburg County. He was charged with voluntary manslaughter in the September 2013 shooting death of Jonathan Ferrell, who was unarmed. Prosecutors said they won’t retry him. In June, a South Carolina jury couldn’t reach a verdict in the retrial of former Eutawville Police Chief Richard Combs, who is white. 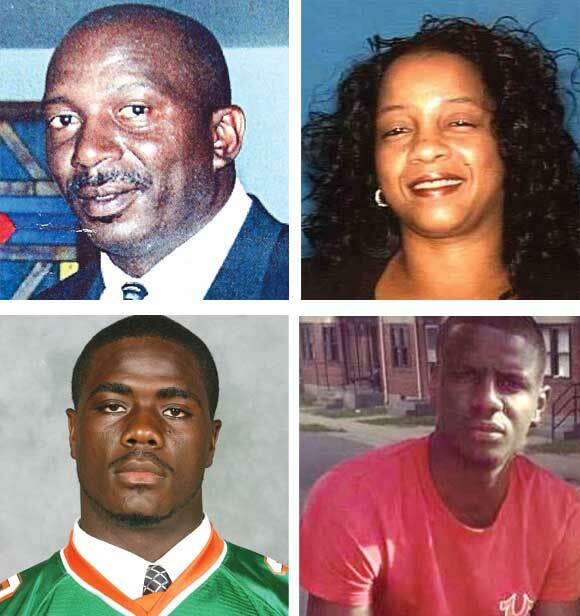 His lawyer said Combs acted in self-defense in the May 2011 shooting of Bernard Bailey, a black man who was unarmed. Combs pleaded guilty in September to misconduct in office and was sentenced to a year of home detention. Juries in Detroit deadlocked twice, most recently last year, in the case of a white officer accused of killing a 7-year-old black girl after he burst through the door of her home while searching for a murder suspect. Prosecutors declined to try the officer, Joseph Weekley, a third time. Juries in Honolulu were hung twice in trials of Christopher Deedy, a federal agent from Arlington, Virginia, who was charged with murder in the shooting of a man at a fast-food restaurant. Deedy claimed he was acting in self-defense and protecting others when he shot and killed Kollin Elderts during an altercation. He was in Honolulu for an economic summit and was off-duty at the time of the shooting. Jurors deadlocked on all charges in his first trial. At his second trial, in August 2014, he was acquitted of murder and the jury could not agree on a manslaughter charge. Prosecutors are seeking a third trial.